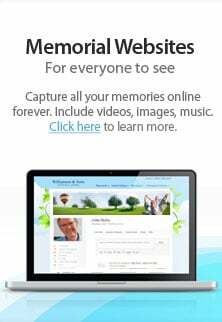 Fremont Memorial Chapel provides quality, compassionate funeral home services and cremation in Hayward CA. Whether you want to make your own funeral arrangements or you have experienced the passing of a loved one, we can provide guidance. You will find that this website is a good resource for any information you seek. Our funeral directors lend guidance about planning a compassionate and dignified memorial and burial service for your loved one. A family owned business, we run 2 funeral homes in nearby Fremont California. Our company philosophy is simply to serve each client with compassion, as a part of our family. We will do the best we can to ensure that we make this most difficult time as easy as possible. As a family business, we are free from national chains, providing the flexibility to give you the highest standard of funeral services. We all know it is quite hard to trust someone you do not know to take care of final arrangements for a loved alone. Throughout the years we have been in the funeral business, we have managed to create a reputation for dignity and quality in the funeral services we offer. We proud to say that our directors are aware of every aspect and detail from the start to the conclusion of the funeral service. Fremont Memorial Chapel offers an array of services from cremation to traditional graveside burial. We also offer Catholic Traditional funeral services as well as Indian funeral services. We also provide funeral shipping services. We respect and serve all denominations. All funeral arrangements are in accordance to the plans of our clients combined with the guidance of our experienced professionals. We are able to handle any aspect of a funeral service including pre-arranged funerals. Fremont Memorial Chapel is a company that prides itself with providing ideal, professional funeral services. If you are looking for a professional funeral service then do not hesitate to contact our funeral directors in any of our two locations for further assistance. In addition to emergency funeral services, we also help those who want arrange and pay for everything up front. We make funeral pre-payment available for those who wish to have some peace of mind in their most difficult time. When everything is done in advance, it makes passing of a loved one less stressful. If you want the best funeral services in Hayward California and its surrounding areas, then do not hesitate to contact us. We are always available and willing to answer any questions you may have. Please get in touch with us today at (510) 793-8900.